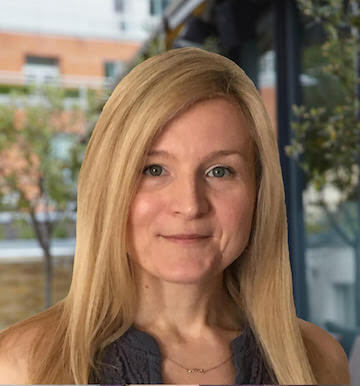 Dr Connie Geyer is a highly specialist clinical psychologist with over ten years’ experience of providing psychological interventions, consultation and supervision in the NHS and non-statutory settings. She received her doctorate in clinical psychology from Canterbury Christ Church University and is an accredited mentalization-based therapist, a mindfulness-based cognitive therapist, and a group work practitioner trained at the Institute of Group Analysis. She is chartered with the British Psychological Society and registered with the Health Care Professionals Council. Connie’s therapeutic approach is collaborative, empathic and person-centred. She formulates individually tailored treatment plans, taking into account each individual's presenting difficulties, treatment choice and the evidence base for psychological therapies. She regularly draws on schema therapy, mentalisation and psychodynamic approaches to help with personal and relational difficulties, and uses cognitive and dialectical behavioural interventions to support clients in building their coping skills and resilience. She aims to provide a safe therapeutic space and support clients in making the changes that they wish to make. Connie is experienced in working with adults and adolescents with mild to severe difficulties, including anxiety, depression, emotional and interpersonal difficulties, trauma, and loss. She can also help with concerns around self-esteem, relationships, adjustment to illness, challenging life events, work-related issues, and a wish for personal development. In addition to her private practice, Connie is a senior psychologist in a central London NHS Trust where she specialises in improving access to psychological services for young adults. Prior to becoming a clinician, she held various scientific and managerial positions in higher education settings and she continues to have a strong interest in mental health research.